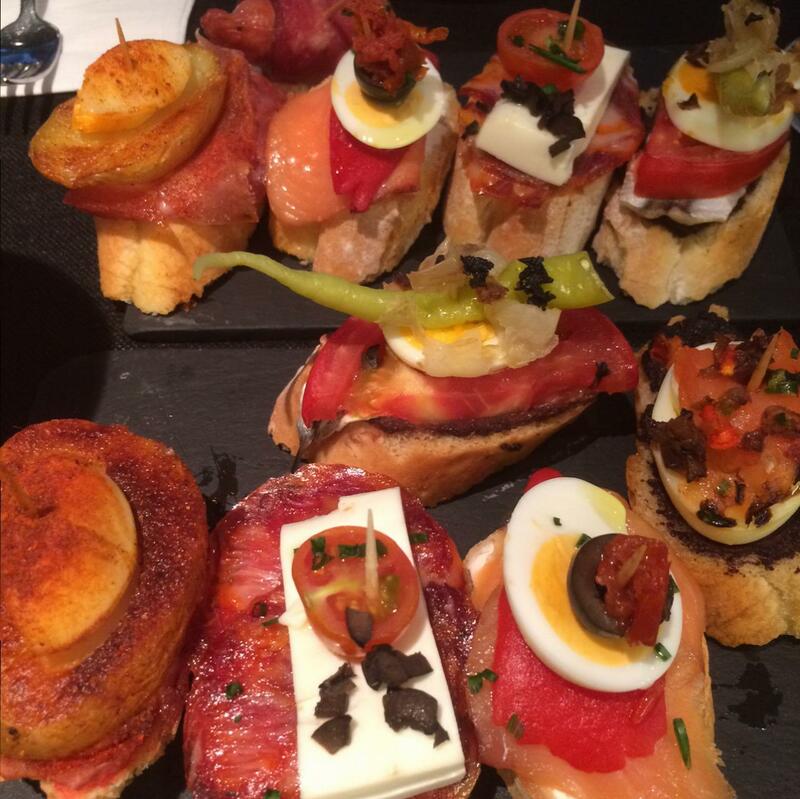 Tasty tapas for dinner. They taste even better than they look. Barcelona, Spain. On the SPAIN TOUR. 5 June 2015. 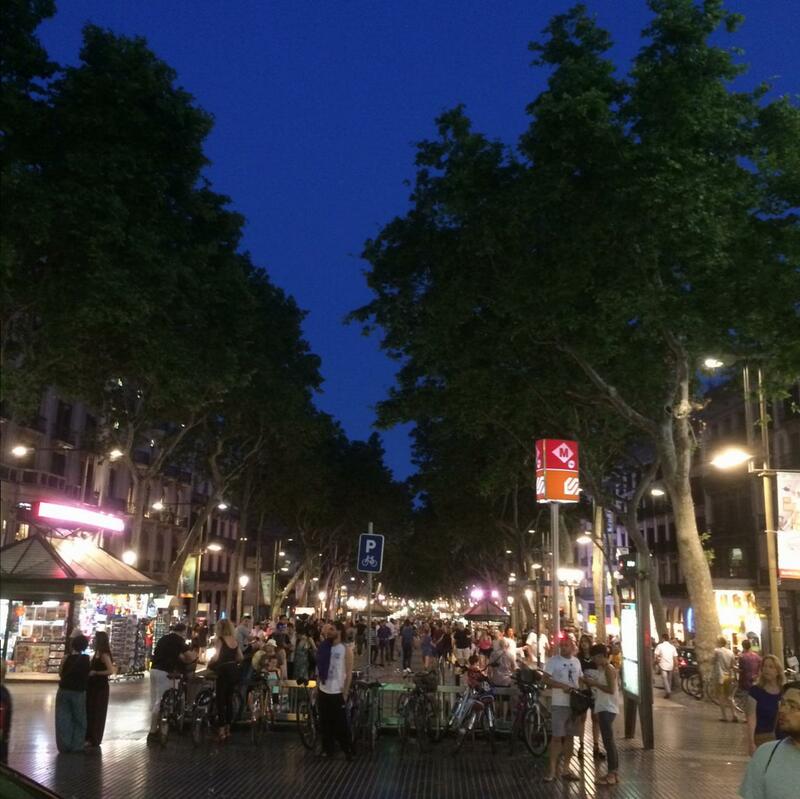 The lively, colorful La Rambla Boulevard, center of the city’s nightlife. Barcelona, Spain. On the SPAIN TOUR. 5 June 2015. 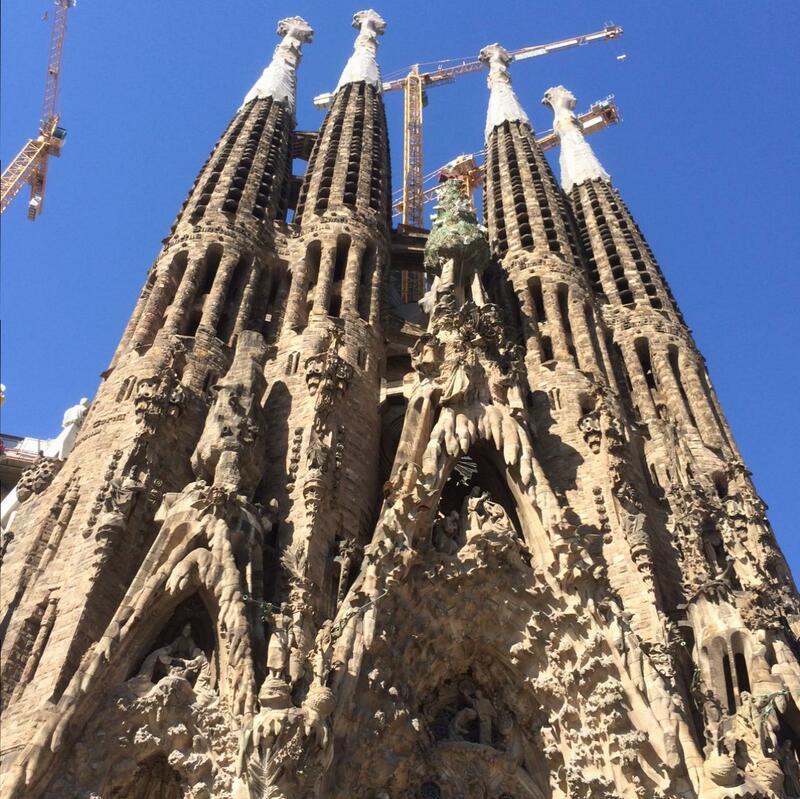 Gaudi’s masterpiece basilica, under construction since 1882, the space age looking La Sagrada Familia. Barcelona, Spain. On the SPAIN TOUR. 5 June 2015. 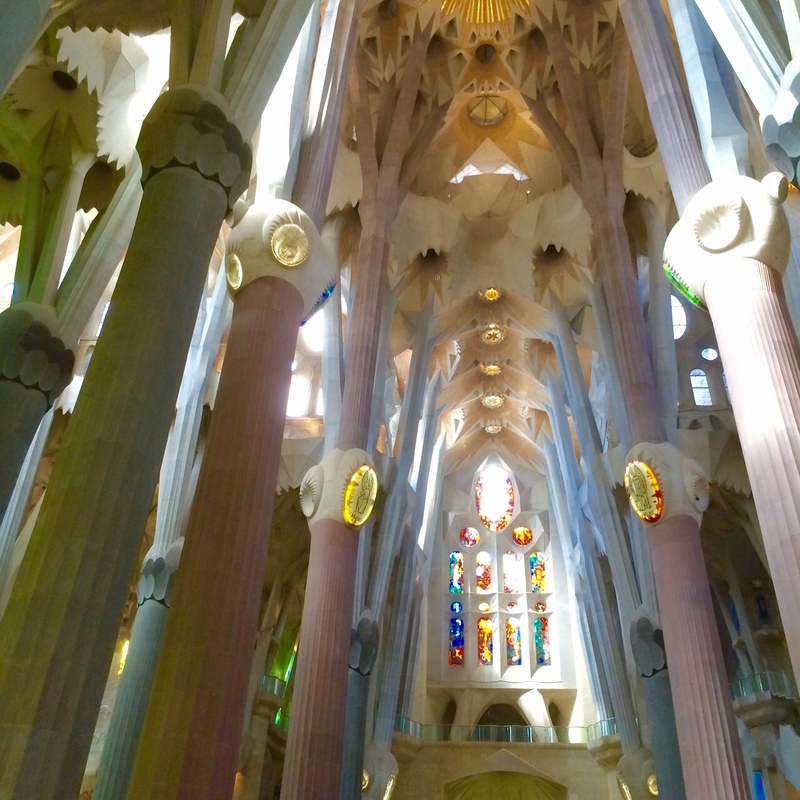 The main nave in La Sagrada Familia. Barcelona, Spain. On the SPAIN TOUR. 5 June 2015. 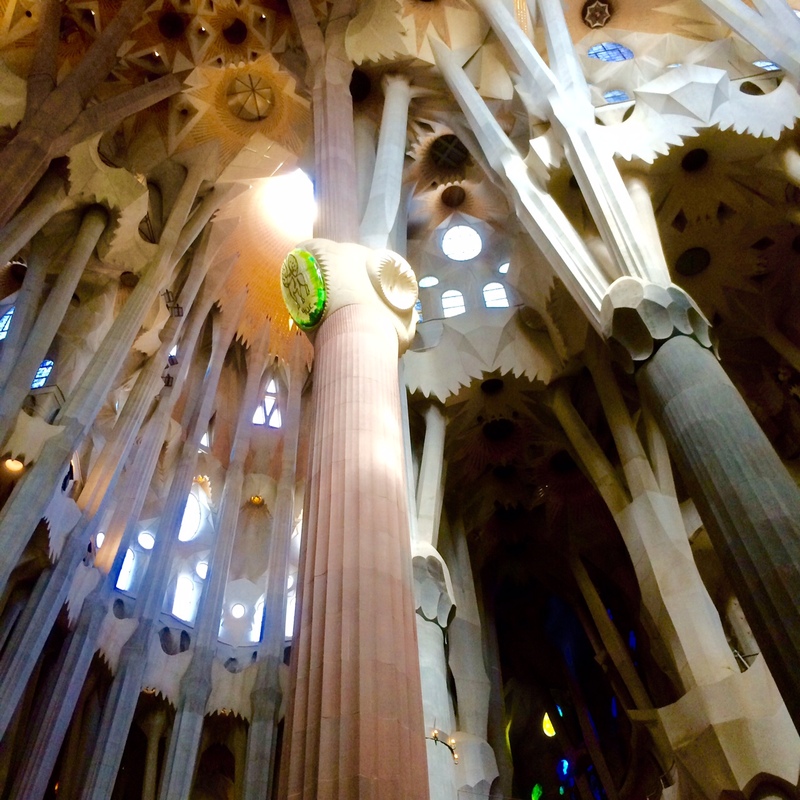 The nearly 300 foot high ceiling in La Sagrada Familia. Barcelona, Spain. On the SPAIN TOUR. 5 June 2015. 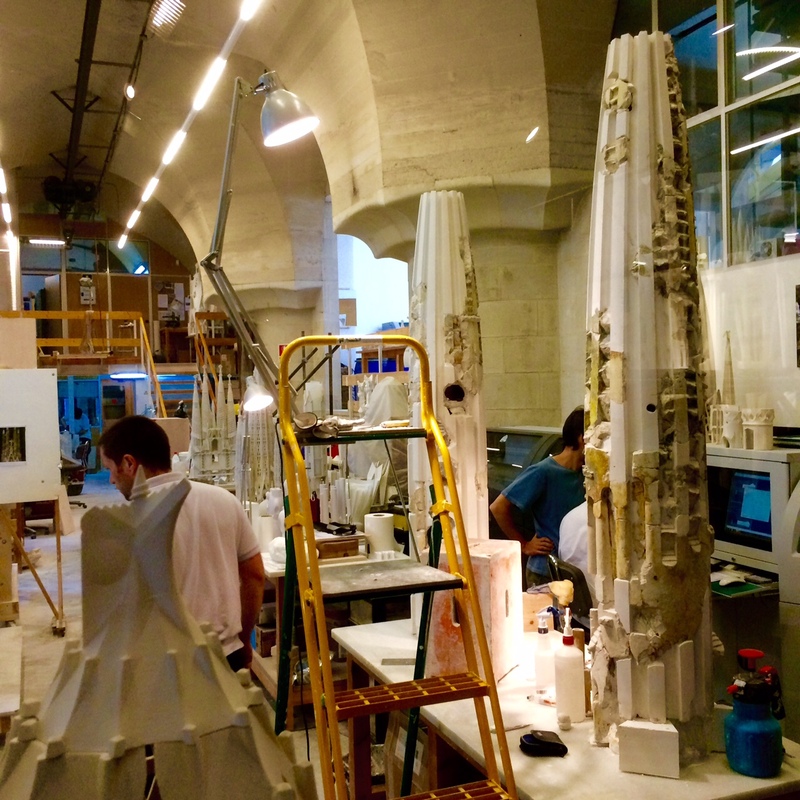 Gaudi’s workshop at the basilica. Barcelona, Spain. On the SPAIN TOUR. 5 June 2015. 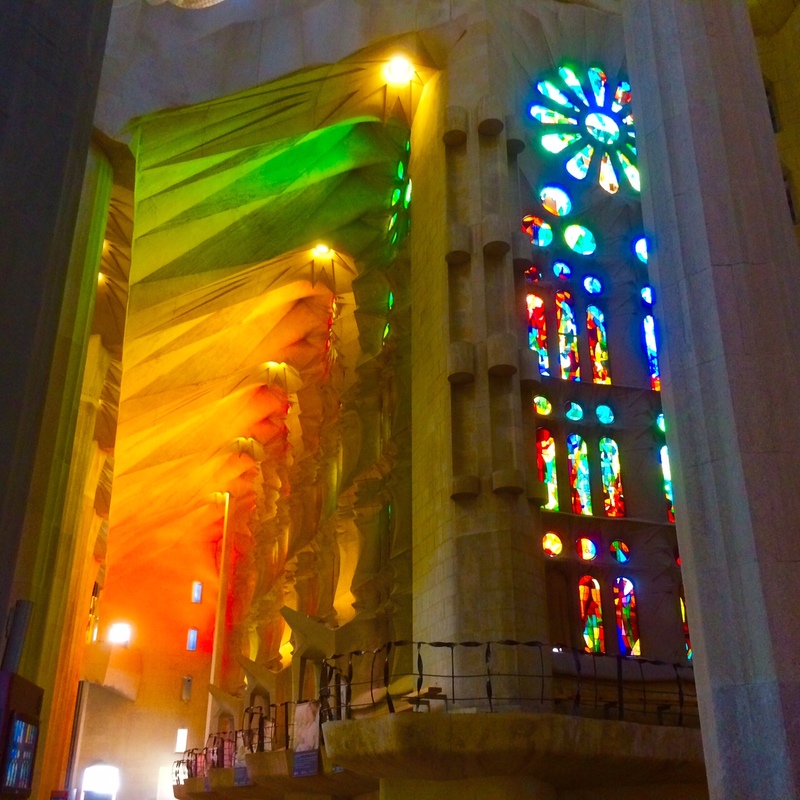 The stunning stained glass in the Basilica La Sagrada Familia. Barcelona, Spain. On the SPAIN TOUR. 5 June 2015. 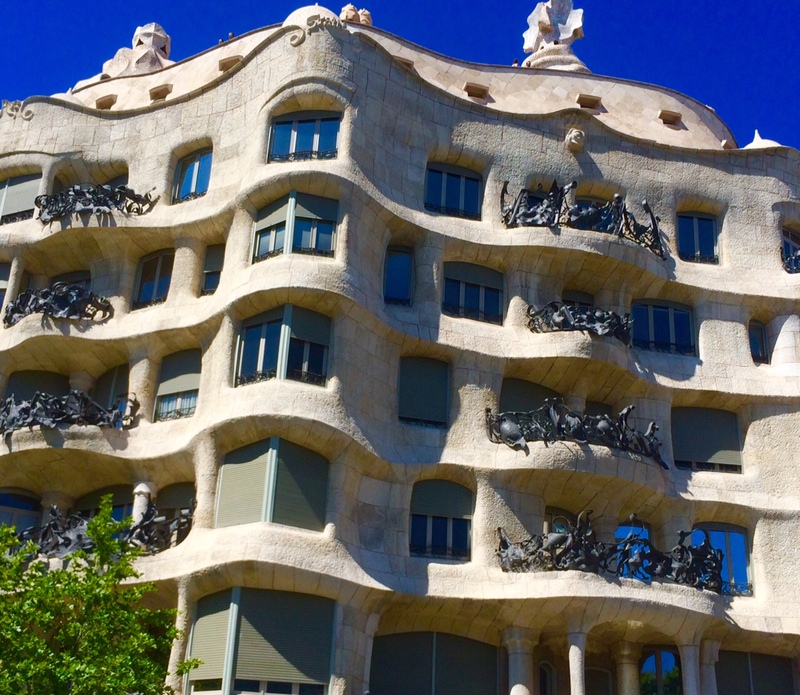 The famous Architect Gaudi’s Casa Mira, circa 1900 but very modern looking. Barcelona, Spain. On the SPAIN TOUR. 5 June 2015. The Gateway to the Exposition Center. Barcelona, Spain. On the SPAIN TOUR. 5 June 2015. 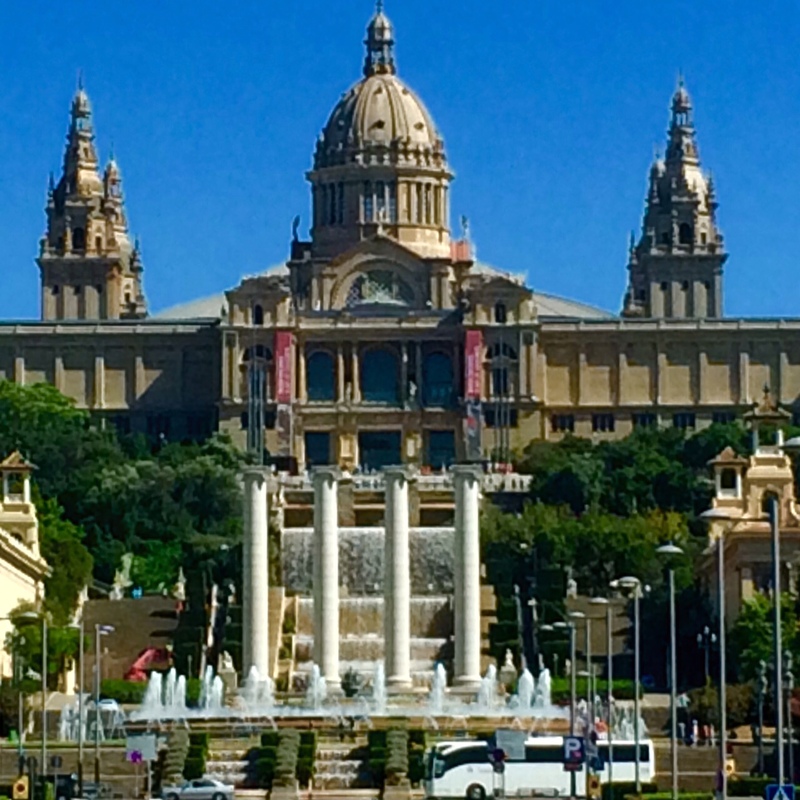 The National Palace. 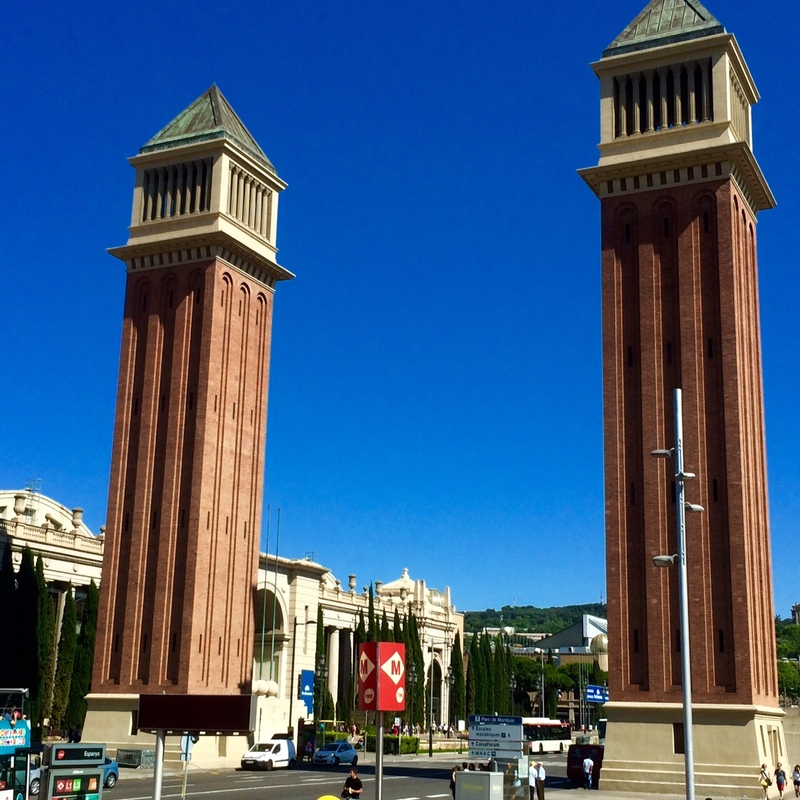 Barcelona, Spain. On the SPAIN TOUR. 5 June 2015.